Companies Associated With Sepro Mineral Systems Corp.
At Sepro, we realize that our goal of becoming the leading single source supplier of global mining, metal and aggregate solutions that add value to our customers’ bottom line is something that can be strengthened with strong business partnerships. Over the years, we’ve chosen our partners carefully, looking for associations that make for a strong long-term cultural fit. In each case, our partners poses specific qualifications and skills that will benefit our customer’s strategic goals and operations. Integrating our proven track record with their years of complementary experience has produced exceptional results for our company and our customers. These strategic partnerships allow us to provide expertise at every stage of service, and ensure we offer superior mineral processing solutions. Met-Solve Laboratories Inc. is a mineral and metallurgical testing facility that provides a wide range of testing services. Met-Solve staff work closely with Sepro customers at various stages of the development cycle to help them meet their project objective. The Met-Solve team has extensive experience with industry processes such as gravity concentration, hydrometallurgical extraction and froth flotation. Working in conjunction with our Sepro Engineering Team, Met-Solve also provide process development for customers with custom needs and unique projects. Canamix Processing Systems Ltd. specializes in the production of agitators, attrition cells and peristaltic pumps for the North American and international markets. 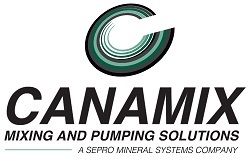 Canamix provides solutions for mineral processing, petrochemicals, gas dispersion, high viscosity mixing, solvent extraction, blending & solids suspension, waste & water treatment and pulp & paper mixing. 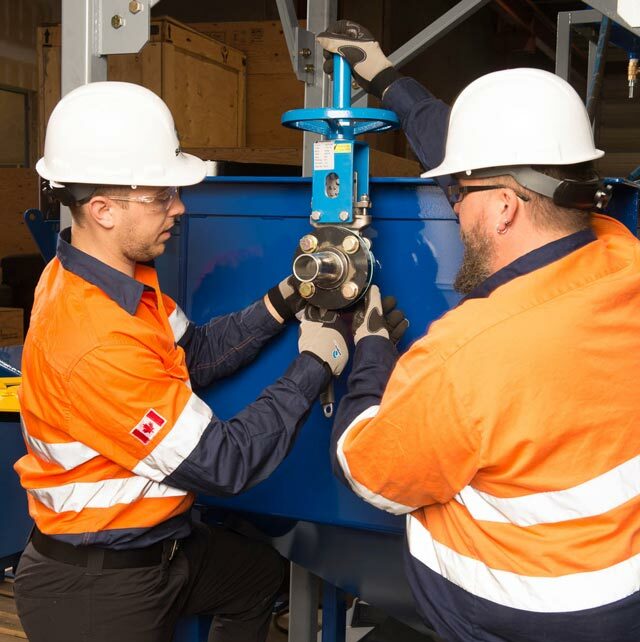 Canamix products are incorporated into Sepro supplied solutions including Sepro Leach Reactors and Falcon Gravity Concentrate Decanting Systems. iCON is a family of mineral processing products specifically designed to recover fine precious metals including gold, silver, and platinum for small-scale mining operations. iCON mineral processing equipment has all the quality, reliability and performance you would expect from Canadian designed and patented equipment for the mining industry and was designed by the professional mineral processing engineers of Falcon Concentrators. iCON’s product line includes gravity concentrators, slurry pumps, vibrating screens and modular mineral processing plants. Carminex is known, both locally and nationwide, as a source of quality Hewitt Robins™ aggregate equipment and parts. Carminex Systems are committed to providing clients with the best service possible and that stems from decades of experience designing, testing and selling aggregate equipment. Thanks to the team’s expert knowledge, Carminex are always available to offer clients advice on which products can help them get the most from their processing plant.